We are a leading Manufacturer of copper sheet and copper sheets from Mumbai, India. These Copper Sheets are available in the standard size and used to meet the varying requirements of various industries. 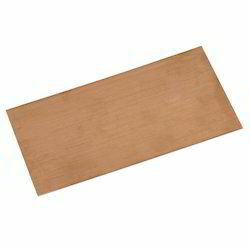 These copper sheets are highly durable and are of excellent quality. These can also be provided as per the client’s requirements and demands.